I am a hummus addict. I've loved it for as long as I can remember. It is, however, very difficult to make the perfect recipe with both taste and texture. BUT I've cracked it and this is the one I make at least every other week...probably more...because I eat so much of it. There are also LOADS of health benefits to hummus. 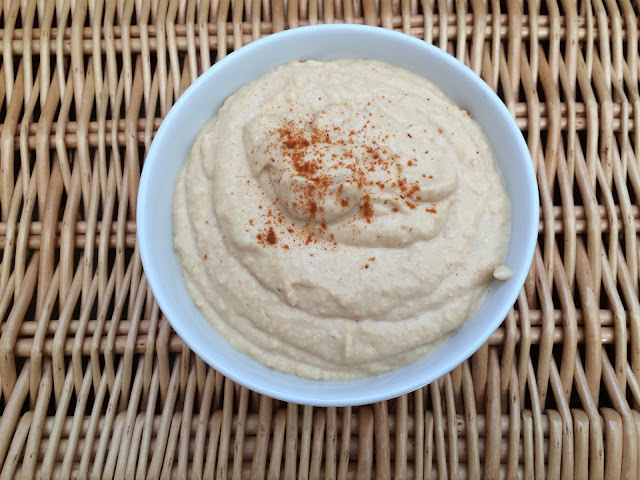 Chickpeas can help lower cholesterol and it can be used as a spread alternative to butter which helps if you're watching what you're eating. It's not only a good-for-you-carb but it's also a good source of fibre. And it's tasty...I don't know about you but if something's good for you AND tasty, well, you're onto a winner. I always think there's something comforting about making your own dips too - you know bad stuff isn't going in there! SO, my favourite hummus - inspired by my go-to health guru, Deliciously Ella. Equipment: a mini chopper, or similar. 1. 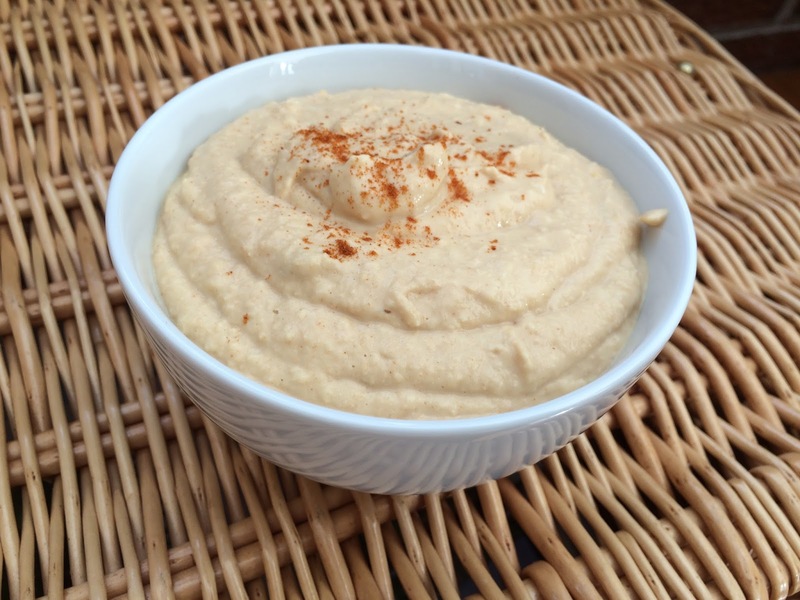 The recipe is SO simple - basically all you need to do is drain your chickpeas add them to them to the chopper/blender. Add the rest of your ingredients and blend. 2. I usually blend mine so it's ALMOST smooth. I leave a tiny bit of texture there as I think it leaves the taste even more authentic. Serve up with some carrot and celery sticks, with a salad, on toast..whatever. It's delicious!